I have been doing quite a lot of baking lately. This may be largely due to the fact that being in the kitchen is the cosiest place to be at the moment, what with these bizarre artic conditions we’ve been having. So I have been cooking up a feast. My poor husband has been coming home and drooling at the smells which have been wafting out of the kitchen; only to be frustrated at not being allowed to touch, let alone nibble at anything. 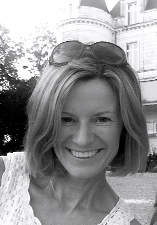 As every brownie, muffin and sausage roll has been spoken for. So to make him feel better I promised I’d whip up a batch of something delicious to take into work for a change. 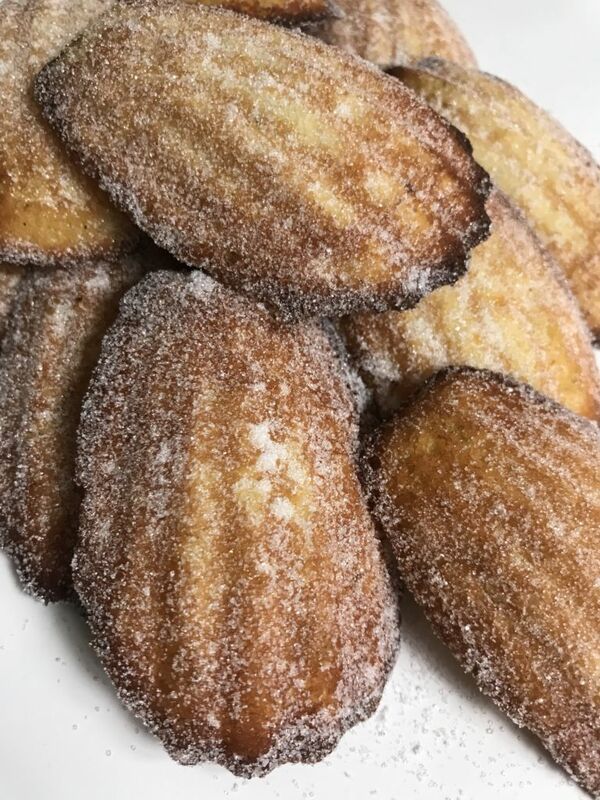 There is something particularly special about eating a freshly made Madeline still warm from the oven. Beautifully light and soft it should just melt in the mouth, the only problem is sticking to just one. 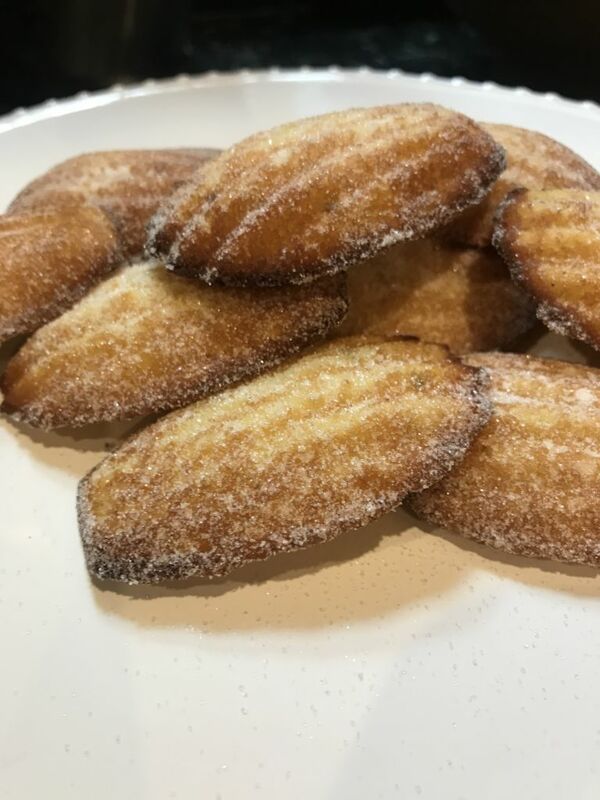 Madeleines are incredibly quick and easy to make and unlike most cakes they only require 5-6 minutes of baking. 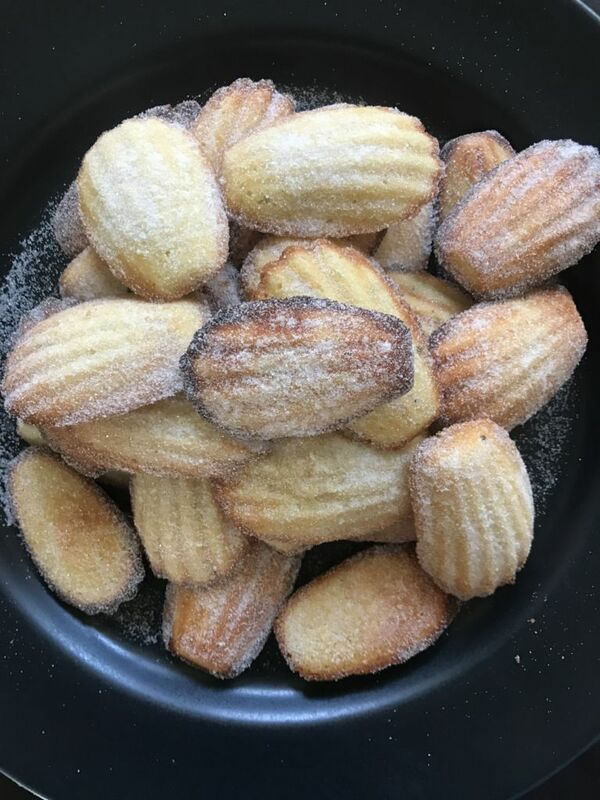 In this recipe I have made the madeleines using orange, but you could use lemon or lime or even get creative with all sorts of exotic flavours. Difficulty: Easy Makes: 18-20 Madelines depending on the size of you tin. 1/4 cup castor sugar plus a little extra for dusting. Lightly grease a Madeline tin with melted butter. Place the eggs and sugar in a bowl with the orange zest and whisk until pale thick (like lightly whipped cream). Sieve in the flour and carefully fold into the egg mixture. Pour in the melted butter and orange flower water and carefully mix together (don’t over mix it otherwise you will knock out all the air). Place a heaped teaspoonful of the batter into each mould and bake in the oven for 5-6 minutes until they are pale golden in colour. 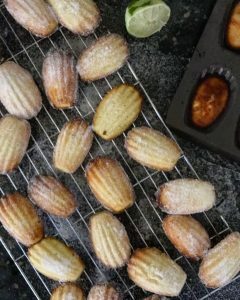 Remove and place on a wire rack to cool for a few minutes before dusting them with castor sugar.